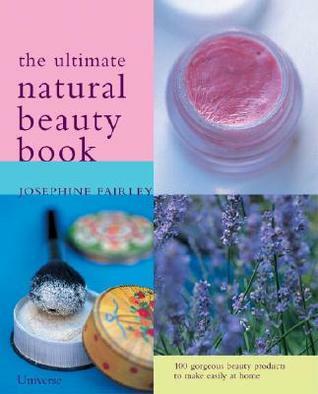 With 100 recipes for beauty products to be made at home from 100% natural ingredients, this book kickstarted my interest in the concept. I was shocked at learning some of the things that are good for you in some of the strangest ways that you would never think to use them in, e.g. egg as shampoo, lettuce as skincare and vodka as deodorant! If I had to buy the ingredients for all the recipes I want to try it would cost a fortune, so I'm taking it slowly and trying to adapt some of the recipes. Here are some notes on a few I've tried so far:vodka deodorant - so excited to try this out. it is currently infusing, which it takes 3 weeks to do. i went for the citrus version, i only hope the citronella doesn't overpower the orange peel and orange essential oil because then it'll smell more like cillit bang!milk, cucumber and mint cleanser - i followed the recipe exactly and, while it does the job and makes my skin feel great, the scent of the cucumber is too strong for me personally. so next time i think i'll throw an extra couple of mint leaves in the mix.beetroot and glycerine cheek and lip tint - didn't work out that well, but then the book did say you have to use a double boiler which i don't have and tried to do without. so it turned out quite bitty, although in all fairness the colour did stay on my cheeks all day. it didn't have much impact on my lips colour-wise though, and it felt weird.sage lash conditioner - i'm really disappointed that this stung my eyes and i had to wash it off. i won't be trying it again.salt body scrub - i changed the scented ingredients to marigold and chamomile. i love the chamomile but i think this is one recipe i may experiment with for a while. a word of caution: it might sound obvious, but when using remember it is salt you are handling and don't apply to cut skin. i had a scratch on my hand so that stung a bit!cucumber anti-blemish mask - fantastic. i've only used once so i don't know if it's had any long-term effects, but it certainly felt good on.Some of the single ingredient treatments i have tried include tomato for the face (it stained my skin slightly but was good other than that) and an apple soaked in boiling water when i felt a spot coming on. it definitely soothed it, and reduced it in size too. Different than Rosemary Gladstar's Herbal Recipes book, but interesting nevertheless. I liked the bits on facial and body massages, and most of the information in this book was different than what I have experienced otherwise (not in a bad way, just from a new perspective). I borrowed it from the library and will look into purchasing a copy. All with good intentions I did think about making some of the stuff. But alas I couldn't be bothered. But real pretty pictures and I liked the bit on facial massage. In my late 30's now need all the help I can get. this book got rave reviews from the staff at bookwoman. it's like a recipe book for "100 organic beauty products to make and use easily at home." the crunchy granola gal in me is pleased as punch.